We hope everyone had a wonderful Easter break and you are all ready for more learning challenges in Year 2. For the first week back after half term we will finish our topic of Castles with our trip to Windsor Castle. I am sure this will be a day of fantastic activities for the children. When we return to school we are going to make our own booklet about Windsor Castle. Our new topic for the first half term will be Night Time Animals and after the half term holiday we will be thinking about The World Around Us.' Our Science topic will focus on animals and plants which ties in well with our overall topic and leads us onto our second trip of the term to Amersham Field Centre later in the term. More details to follow. We are lucky enough to have a Drama Workshop in school booked for Year 2 on Tuesday 7th May 2019. During this first half term Year 2 will be completing their SATS papers. As discussed at the information evening we will aim to make this as low key as possible without any additional pressure for the children. If you would like more information please see the presentation below. In the first half term Gym will be on a Monday with a coach from Premier Sport and on Thursdays we will have swimming. Please ensure kits are in school every day though. In the second half term there will be a drama lesson with the Premier Sport coach and games lessons on the Thursday. We will also be practising for our Sports Day so please do keep kits in school. Reading books will come home on a Wednesday. Please return reading books and reading records to school each Wednesday to be changed. The children will have a mix of books that are either new to them or will have already been read at school. Please do record every time your child reads with you. The reading records will be returned on a Thursday. A sticker will be placed in the book if a child has read aloud 4 or more times that week and a certificate will be given after 10 stickers are earned in Year 2. Please do take the opportunity to talk about the story with your child. Comprehension of the text is as important as reading the words so please ask them questions about the plot, characters and why things happened. Our class library slot is on a Thursday so please return any books on a Thursday so that your child may choose two more books to enjoy each week. A list of words will come home on a Friday for the spellings to be learnt for a test on the following Thursday. Most lists will be based on a phonic pattern with the aim being for the children to learn the phonic patterns as well as the words. A second piece of home learning will also come home on a Friday to be returned the following Thursday. This will usually be maths or english but could be any subject. Please provide a snack for your child to eat in the morning and bear in mind that we would like this to be a healthy option of fruit or vegetables. The children will still be given a healthy snack each afternoon so there is no need to provide an afternoon snack. Please also send in a water bottle for use in the classroom which is separate to the bottle in their lunch box. Please do not send in any nut products in lunch boxes or as a snack. We would really appreciate it if your child could have a school book bag to bring all their home learning, spellings and books to and from school. We like the book bags to go in drawers in the classroom so that the children do not need to go to the cloakroom to collect things. Please do ensure that everything is named. We will do our best to try to reunite any lost property with its rightful owner! If you have any questions or concerns please do not hesitate to make an appointment or catch us on the playground at the end of the day. We are looking forward to working with your children and having a wonderful year. Mrs Franklin and Mrs Harper. 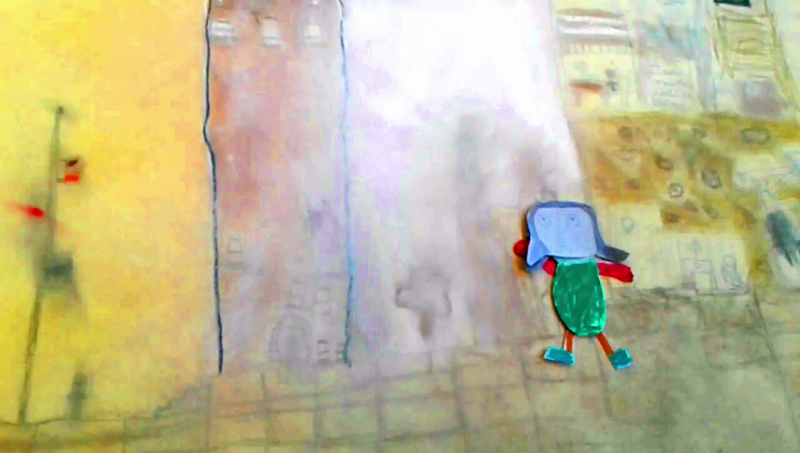 Year 2 have made their own animation based on the story 'The Journey.' We made our scenery and characters and recorded our own sounds. We hope you enjoy it.